Get your officially licensed MLB breakaway collar for your cat, featuring the Minnesota Twins team graphics! Get your officially licensed MLB collar for your cat! 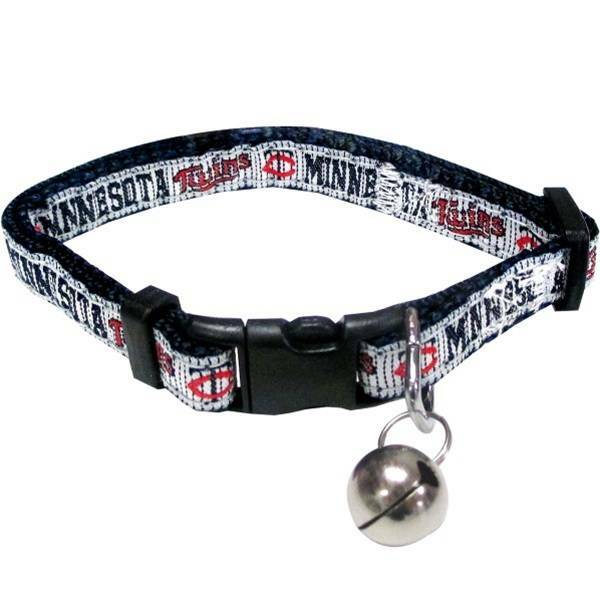 This breakaway cat collar is made of nylon featuring a ribbon woven onto the collar with Minnesota Twins team graphics.